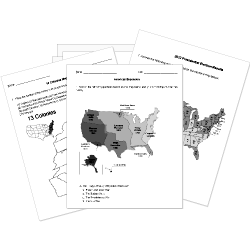 You can create printable tests and worksheets from these Grade 10 Canada questions! Select one or more questions using the checkboxes above each question. Then click the add selected questions to a test button before moving to another page. Why did some people in Canada at the turn of the century want more self-government? Why did the French Canadians see the British immigrants as a threat? What did the Canadian government offer new immigrants to entice them to come to Canada? Which one of these was NOT a factor in the economic upturn in Canada at the turn of the century?